By this point, it’s pretty likely that your business is using social media in some capacity. If you’re like most business owners and marketers, you may already have LinkedIn, Facebook, Twitter and Google+ pages, however… to really make the most of these resources, you need to use them properly. Social media marketing can only benefit your business if you understand the nuances and audience of each platform and then develop and implement an effective strategy. 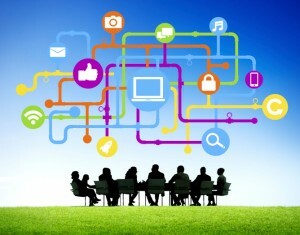 Here are seven tips to help you use social media when marketing your business. This is a big one, and a point many overlook. Social media is broad and diverse. In addition to some of the most obvious platforms (Facebook, Google+ ,Twitter, LinkedIn, Pinterest and Youtube) there are countless others like SlideShare, Flickr, Reddit, Tumblr, Vine and Instagram, not to mention the numerous forums and websites where users engage and interact. Even for large companies with dedicated resources, attempting to keep up with all of these channels can be an overwhelming task. Instead , focus on only those social networks that provide a good opportunity to connect with your target audience. And to that end, you need to understand your audience. The specific nature of your business and industry will have a big impact on where you’ll find your audience. Retailers that sell high-quality, visually stunning goods should obviously look to Pinterest and Instagram for their image-sharing services. If word-of-mouth is essential for your business (and it is for most, if not all), then Twitter is probably right for you. If you need to reach a professional audience, LinkedIn in all likelihood, is the answer. This doesn’t mean you need to limit yourself to a single social media platform. But by understanding your audience and focusing your efforts on the most relevant sites, you’ll be able to maximize your efficiency, and your results. There’s a big difference between using social media to talk to your audience and using it to talk with your audience.When it comes to social media, you want to engage your audience. Without engagement, you’re simply talking at people. You might as well be a machine & that’s exactly how consumers will view you. Interaction is one of the hallmarks of social media, and that’s why it’s such a valuable tool for marketing. Talking “with” your customers is the first step in getting them to talk “about” you, and your company. And that’s exactly what you want: to generate conversations and attention. People love it when a business responds directly to them, and social media makes doing so easier than ever. You just need to dedicate the time and resources to do it. Critically, you need to be willing to engage directly with your customers regardless of whether they’re offering you praise or complaining about your products and services. In fact, social media marketing can sometimes be even more valuable when it comes to how you handle negative feedback. Negative feedback doesn’t have to result in creating a poor or negative image of your business, but it can if you ignore it (See tip #5). It’s tough for any business to admit when it’s made a mistake. It becomes much, much harder when it comes to a public arena like social media. But admitting to errors is a key part of successful social media marketing. It’s sometimes easy to make a simple mistake when using social media for marketing purposes. Employees may post at the wrong time, be inadvertently insensitive or even mix up their personal and business accounts. Because it’s the Internet, any mistakes are unlikely to go completely unnoticed. Trying to erase the mistake will likely fail, and will make your company look worse. Acknowledge your mistakes directly. A thoughtful, well-crafted response is better than a quick knee-jerk reaction. Many times businesses are not prepared to handle a social media mistake and they only exacerbate the situation by responding quickly and inappropriately. Its better to take an extra moment to deliver a carefully worded, and measured response to your community. Don’t hide the mistake. They happen to even the most savvy social media marketers. The worst mistake however; is acting like there was no mistake at all.Whether you, or whoever is in charge of your account, made an offensive comment or post, criticized a customer, or something else, you need to accept responsibility. Deleting the message is important for damage control, but you’ll hurt your reputation by acting as if nothing happened. Followers share updates and take screenshots of posts so there will always be a record of what was on your profile. The best decision you can make is to own your mistake. Don’t push back. Don’t attempt to argue with your community that the mistake wasn’t that bad, or that you’re right, or misunderstood. Its best to own up to the mistake and move forward. Debating the mistake only keeps it fresh in the mind of your audience and could further alienate additional members of your community. Be sincere. Acknowledge what transpired and that you understand why your followers are upset. Apologize sincerely and tell customers that you regret your actions. This shows that your business is responsible and cares about its clients enough to empathize with their feelings. This is another piece of advice that may seem obvious, but it’s important enough that it’s worth reiterating. Few things move faster than the speed of social media. Consequently, you need to make sure that your business is posting frequently and consistently. If you allow your business to become lax, you’ll quickly lose followers and fail to attract new ones. A half-hearted commitment to social media marketing is really no better than no commitment at all , and often times worse. Humanizing your brand is a necessary step to ensure your company’s success with a social media marketing strategy and you can only accomplish this through active, personal involvement. It’s the key to creating a strong emotional bond with your audience, strengthening relationships with your customers, and creating a powerful base of brand advocates. If you fail to connect with your customers on a personal level – the odds have increased significantly that they won’t connect with your brand. If a customer called you on the phone, emailed you , or walked up to your sales counter to ask a question, or make a comment – what is the likelihood that you or another employee would simply ignore them? When a customer or prospect takes the time to address you online – they should be treated no differently. Take the time to listen, engage and respond. – You must have a centralized plan for actively engaging with your community. Negative feedback doesn’t have to result in creating a poor or negative image of your business, but it can if you ignore it. The key to handling negative feedback or complaints is to respond quickly and appropriately. Every customer service issue is unique and needs to be handled accordingly, but taking quick action is critical in maintaining a positive brand reputation. Consumers are increasingly turning to social media for customer service and this can be intimidating to a business that is not used to offering online support or support through social media. It’s true that social customer service can be a challenge, but it can also be a major opportunity for your business. For starters, the simple notion that social customer service is becoming more and more standard means that not offering this option may put your business at a competitive disadvantage. On the flip side however, businesses that are ahead of the curve can win points from their customers for being more accommodating and available. Social customer service can therefore help your marketing efforts by improving your company’s reputation. 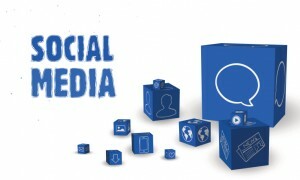 Just as importantly is the fact that social customer service, by definition, occurs on social media platforms. That means that any help you render to consumers can automatically gain visibility, demonstrating your company’s commitment to high-quality service. The more helpful you are as a business, the more word will spread across the various social networks. However, you need to make sure that your employees are careful when it comes to customer data in these situations. While you can address certain issues on a social platform, there will likely come a time when your support staff should move the conversation to email, phone or another, more private venue. 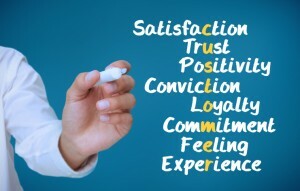 One final key piece of advice for marketing your business with social media is making a definite connection to outcomes. You need to know not only want you want to achieve with your social media marketing efforts, but also whether you’ve succeeded. It’s pretty standard to track social media activity, but a lot of businesses fail to connect these measurements to actual outcomes. As the saying goes, if you don’t measure it, you can’t manage it, and this couldn’t be truer than it is for social media marketing. To this end, you should take the time to really develop a thorough, achievable set of goals that you think social media marketing can help you to achieve, and then invest in the analytics and other tools you’ll need to determine your success or failure. Depending on these outcomes, you can adjust your strategies going forward, making your social marking efforts even better in the future. You can set goals and objectives to analyze virtually any variable in social media marketing, from the optimal article length of a blog post, to most popular type of tweet or hashtag, to reach and share of voice, and more. Leverage analytics tools to gauge what is working best and what is not. Do you have additional tips? Please share them in the comments below.